Over the past several weeks, I’ve been meeting with a lot of Nursing Home Administrators and Social Workers. 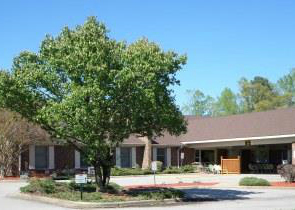 For many people who are applying for Medicaid to pay for Long Term Care costs at a Skilled Nursing Facility, the staff at the nursing home is the front line of information on what they should and shouldn’t be doing as they apply for Medicaid. For many applicants, a Medicaid “Spend Down” is necessary so that the applicant will qualify for benefits. But what is and what isn’t a Medicaid Spend Down? Many people who I talk with don’t fully understand what it means when an applicant for Medicaid needs to spend down their assets so that they can qualify for benefits. The purpose of this article is to explore the spend down rules in North Carolina and give you a bit more guidance if you are helping someone to apply for Medicaid. What is a Proper Medicaid Spend Down? Are You Applying for Medicaid to Pay for Long-Term Care? 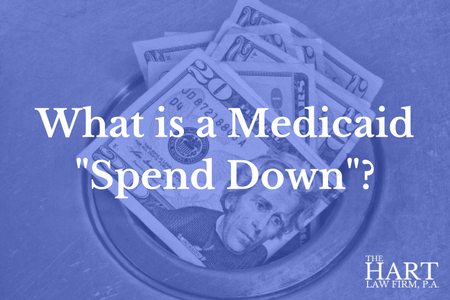 First things first, a spend down does NOT mean that someone needs to spend down their assets so that they can qualify for Medicaid. There are two components to qualifying for Medicaid. There is an income test and an asset test. An applicant must meet both requirements to qualify for Medicaid benefits. To qualify under the income test, the applicant’s income must be less than the total cost of care at the skilled nursing facility. In North Carolina, the average cost of care runs about $6,500 per month. Most people have no problem meeting the income test. For seniors on a fixed income, a combination of their social security and pension (if any) benefits won’t come close to the cost of care at the facility they are considering. However, they must also meet an asset test. Countable assets must not be more than $2,000 in total. This is where people have a problem, and receive advice that they need to “spend down” assets so that they will qualify for Medicaid. Family members make all sorts of mistakes when trying to get their loved one qualified for Medicaid. And improperly spending down their assets is one of those mistakes. The problem is that people improperly believe that spending down assets means that they, quite literally, need to spend all the money that the applicant has. They use this money to pay for the nursing home facility, personal items, living expenses for family members, and countless other things. And when they do this, they can make a number of costly mistakes that may actually hurt the applicant’s chances of getting approved for Medicaid. As I’ve been meeting with Nursing Home Administrators lately, they have shared with me a number of Medicaid Spend Down horror stories. I’m amazed, although not surprised, at some of the things that families will do, all in the name of “spending down” their family member’s money so that they can qualify for Medicaid benefits. This is a huge mistake. So long as the applicant intends to return home at some point, even if everyone knows that this is not medically possible, then the applicant for Medicaid benefits in North Carolina may keep up to $560,000 in equity in their primary residence as a non-countable asset. That means that the equity in the house doesn’t count against the $2,000 limit. Many people don’t understand this. As soon as they sell the house and generate a lot of cash, they have converted an otherwise non-countable asset into a countable asset that will either trigger a denial or generate a huge penalty from Medicaid. If you tell the social services caseworker that the applicant does not intend to return home, then their primary residence becomes a huge countable asset that will disqualify them from benefits. Don’t make this mistake. The test for whether the applicant wants to return or not is subjective. EVERY applicant wants to return home. Nobody wants to live in a skilled nursing facility. Don’t shoot yourself in the foot and tell DSS that your loved one will never be returning home. This is another big problem. Families wrongfully believe that since the applicant no longer needs a car, that they should sell it or worse, give it away. This will trigger a financial penalty from DSS and disqualify the applicant from benefits. Don’t make the mistake of hiding assets or lying on the Medicaid application. The case worker WILL find out and your application for benefits WILL be denied. Not to mention, this is Medicaid fraud and you could be prosecuted for perjury and/or other State or Federal crimes. Medicaid has a “look back” period of 5 years from the date of the original application to see if there were any gifts or other transfers out of the applicant’s name and into the name of someone else, including family members or friends. If you pay for expenses of family members or other third parties without receiving adequate consideration in return, those “gifts” could make the applicant ineligible for Medicaid benefits. 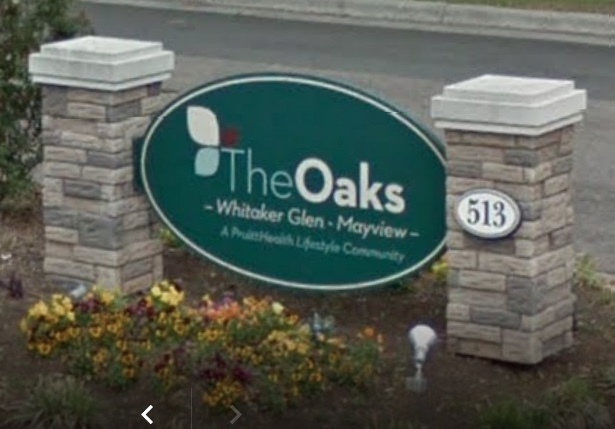 Some of the people at the nursing homes that I have talked to tell me that they counsel the families of the applicant that they need to spend down assets by paying for nursing home care directly. This is not something that will get the applicant penalized in the eyes of Medicaid, but it is certainly not the best strategy from a legal perspective to preserve assets. Oftentimes, an elder law attorney can help families of Medicaid applicant’s structure their finances such that they can preserve large amounts of the applicant’s assets and still get qualified for Medicaid to assist in the payment for a skilled nursing facility. In addition, an elder law attorney can help the family to review other possible benefits in addition to Medicaid. Not meeting with a lawyer early on in the process is a huge mistake that can cost families thousands, if not hundreds of thousands of dollars. I’ve talked a great deal about what a Medicaid Spend Down is not, but you may be wondering what a Medicaid Spend Down is? When we refer to a Medicaid Spend Down, we are not talking about actually spending money, although that frequently becomes part of the strategy. What we are talking about is a systematic and legal way to convert the applicant’s excess assets from countable assets to non-countable assets. Here is a great article from NOLO that explains in detail what a Medicaid spend down is. As I mentioned before, an applicant may have a limited amount of countable assets (up to $2,000) and still qualify for Medicaid. But they may also still have a significant amount of “non-countable” assets (often several hundred thousand dollars or more) and still qualify for benefits. The trick is that you need to know how to properly convert those assets from countable to non-countable assets. If you are applying for Medicaid to assist with the payment of long-term care expenses at a skilled nursing facility for a loved one, you may find yourself in a situation where you need to conduct a Medicaid spend down. Don’t make the mistakes referenced above. And if you have any questions about applying for Medicaid, please feel free to call our office at (919) 883-4861 for a no-risk consultation to discuss your options. Alternatively, you may complete our contact form here and a representative of our office will call you back to discuss your situation.